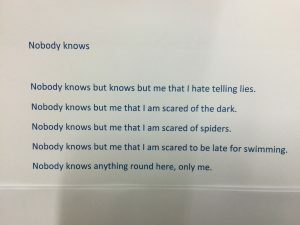 Year 3 have been talking about feeling worried. 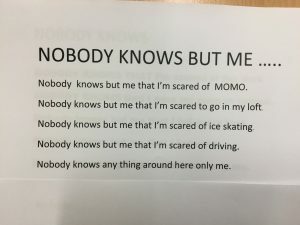 We talked about what makes us feel worried and most importantly what to do if we have a worry. 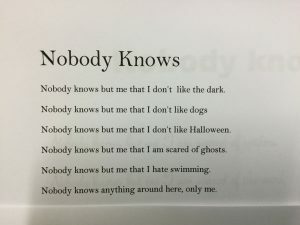 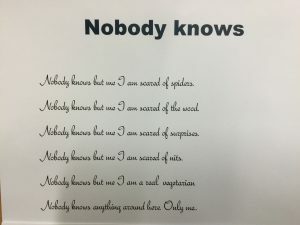 We created our own ‘Nobody knows…’ poems to share some of the things that makes us worried. 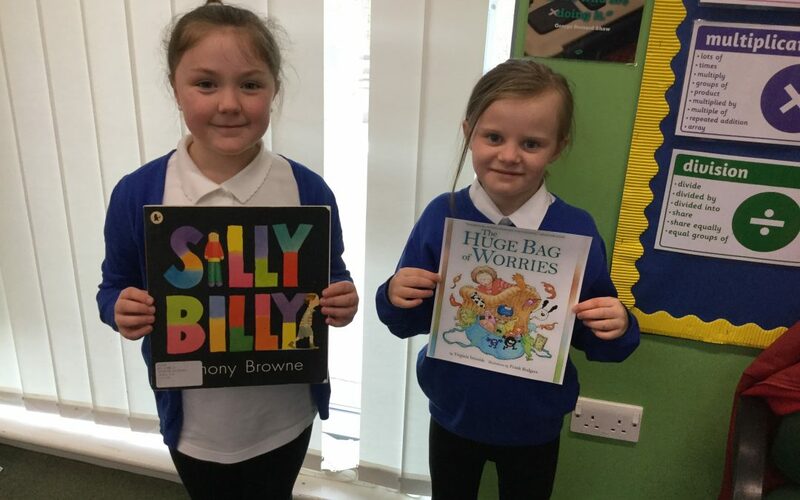 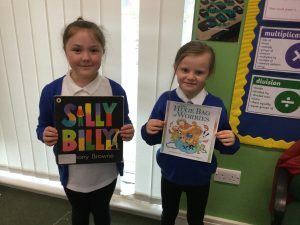 We read ‘Silly Billy’ and ‘The Huge Bag of Worries’ and together came to the decision that the best way to deal with our worries is to tell them to a grown up we trust.